Even the kitchen of Oasis House has a view of the bay.. 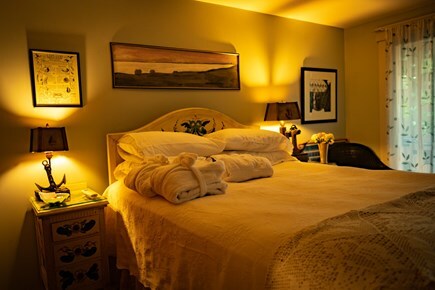 Delight in our heated swimming pool, 6-person hot tub, 6-person redwood sauna and for this season a steam shower has been added to the Master bedroom suite. 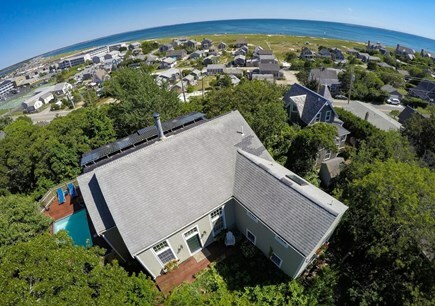 Enjoy sweeping panoramic views of Provincetown Harbor, Pilgrim Lake, the dunes, downtown, and the Monument – all from this hilltop home just across the street from the stunning bay side beach. Oasis house is now solar and we have added a roof to the upper deck with a bead board finished ceiling with 3 ceiling fans, a dining table for 8 and additional furniture making this a beautiful outside living room and dining room. 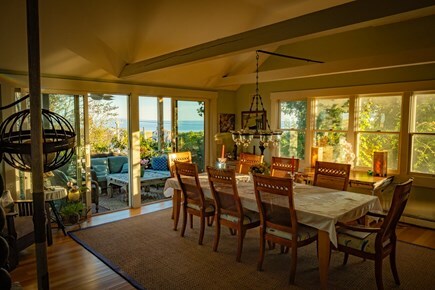 A great place to eat a meal, relax and enjoy the views and breezes off the ocean and enjoy additional circulation from our 3 new overhead fans. Oasis house is also fully air-conditioned. Our spa-like environment extends to robes, fresh cut flowers, and delicious chocolates. 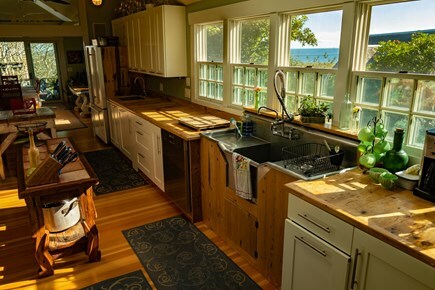 Oasis House is designed to meet your entertaining needs with a chef's kitchen, 2 refrigerators, 2 ovens, 2 refrigerators, 2 dishwashers, 2 sinks, and a commercial 6 burner Wolf range. A two-sided fireplace divides the dining and living spaces. The expansive living room, dining room dining room and kitchen offer spectacular views from every window. For outdoor entertaining, we offer a gas barbecue poolside, and 3 decks – one surrounding the pool. 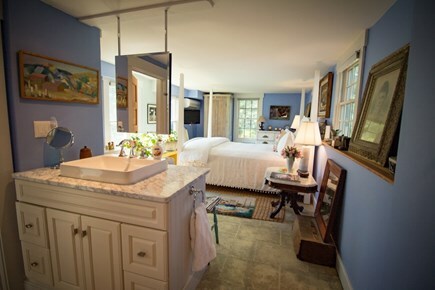 Oasis house has 3 full baths and a one-half bath. 2 of our bedrooms are now en-suite. In addition, there is an outside shower and sink with hot and cold water. Finally, for your convenience we offer parking for seven vehicles, and central air conditioning. Transportation: Getting to town is as easy as a 5-minute car ride; 12-minute bike ride; or for your convenience … a daily, in-season shuttle, which transports guests from Mayflower Heights to MacMillan’s Wharf every 20 minutes, until midnight. 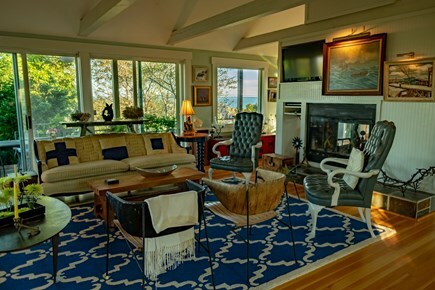 Off Season: And during the off-season, the sauna, hot tub and steam shower, expansive dining room, and entertainment area are offset by the large, cozy fireplace lending itself to an intimate setting for celebrations, holiday getaways, or personal retreats. 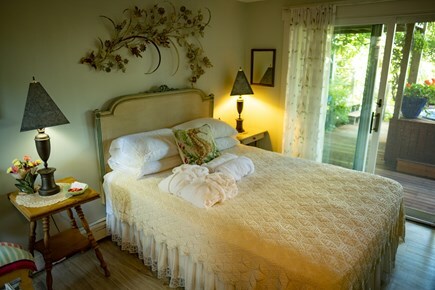 Additional availability info: Jan - April /2 night min, May/3 night min, except Memorial Weekend/5 night min. 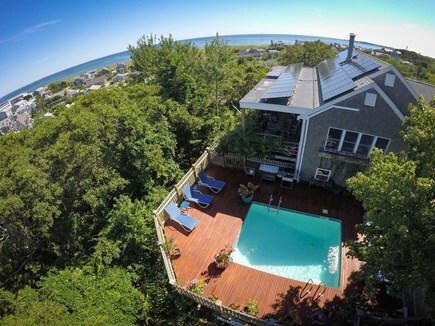 This is a Sunday to Sunday vacation rental. Additional pricing info: $250 cleaning fee; $1,000 refundable security deposit, State and local taxes of 14.45% will apply. 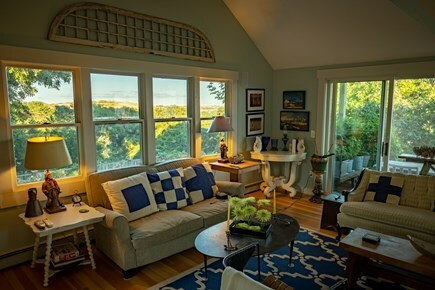 We were a group of 6 adults who had just run the overnight Ragnar Relay race from Hull to Provincetown, so we were looking for some well-earned relaxation time. We were very pleased to find that the Oasis house really is a true oasis! The owner Ted welcomed us with a thorough walk-through of the house explaining everything in detail. He made us feel spoiled with all the treats he arranged, as noted in other reviews. We thoroughly enjoyed the hot tub, heated pool, comfortable beds, and other luxuries which helped us recover quickly. We were glad to be able to park both the full-size vans we had rented for the race at the house, as parking in Ptown is challenging. 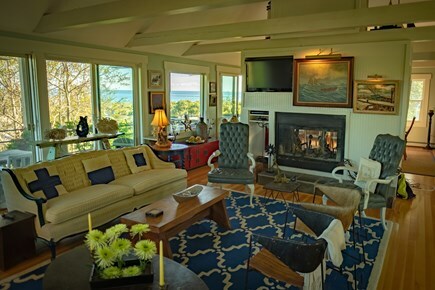 The home was a perfect representation of the town: beautiful and eclectic with a caring and thoughtful owner ...Ted Cormay. Ted welcomed us to the home personally, and was immediately available for any issue, question or simply to provide a restaurant recommendation. Upon arrival, there were fresh cut flowers abound, bedside chocolates and neatly folded robes on every bed. The amenities make it feel more like renting a spa, with pool, hot tub and sauna, rather than someone's income property. We spent 2 wonderful weeks in oasis house in June. 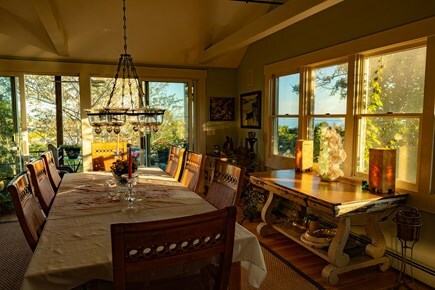 The house is really not like a holiday rental - feels more like a fabulous house you are borrowing from a cool friend - eclectic furnishings/paintings etc. We had our teenage children plus friends with us and they spent hours in the pool/hot tub. we loved sitting on the balcony reading and looking out at the sea view. Kitchen was great (and also had lovely views). The owner, Ted, was really helpful, answered any questions/sorted any minor issues. Provincetown itself was perfect for a holiday with teens - they loved heading downtown themselves. I think there is a bus just at the end of the road but it is also a lovely bike ride into the town. We met Ted (the owner) upon arrival who gave us a tour of the house and property, which was super helpful! We were so impressed with all of the amenities, additional details (like bath robes and fresh flowers), and the overall hospitality. To say the least, this house exceeded our expectations. 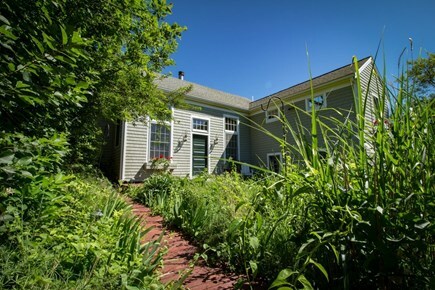 The photos do not do justice to this beautiful gem in the heart of Provincetown. Thank you Ted for a wonderful experience! We can't wait to rent this house again! Our family had the most amazing few days in this gorgeous house. The pictures (although gorgeous) don't do it justice. The house is immaculate - everything you need and then lots more. We used the steam shower, hot tub and sauna -- all terrific. Ted, your host, could not have been better -- he met us and helped out with logistics and recommendations. The beach is a short and beautiful walk and the views from the deck....extraordinary. We will be back. And soon. Ted was gracious enough to let us hold our wedding reception at his house, which took place towards the end of our week-long stay. 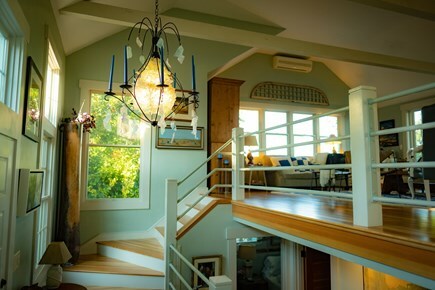 Upon entering the house, we gasped at how airy and light and large the space was. (The photos do not do this house justice.) That breathtaking surprise was repeated every single time anyone walked through the door. 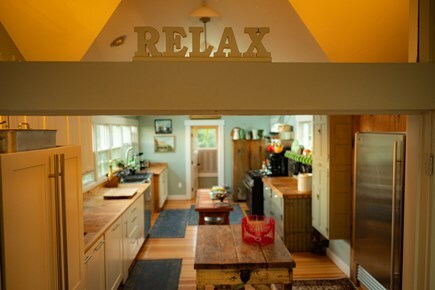 With so many comfortable and scenic areas to lounge and talk and laugh, a well-stocked dream kitchen, and the luxuries of a pool, hot tub AND sauna, this house was absolutely perfect for entertaining. This is our second year staying at Oasis House. Last year we stayed for two weeks. This year we stayed for 4! It is the most wonderful place in Provincetown or on The Cape for that matter! This home has it all! Ted is a gracious owner and has thought of everything! From the fresh flowers in the rooms to the chocolates by the nightstands! Don't miss the chance to stay at "Oasis House".